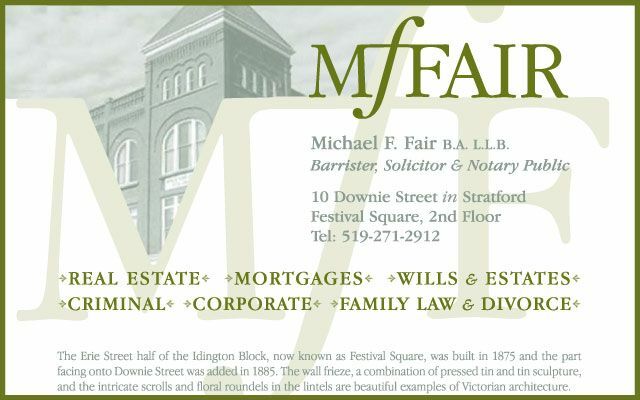 Michael Fair Law Office is a family-run legal firm, serving clients in Stratford and the surrounding areas since 1980. Our areas of legal focus include real estate law, wills and estate planning, powers of attorney, criminal law and uncontested divorce and separation agreements. 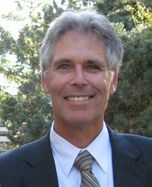 Mike Fair graduated from York University with a degree in history and philosophy, and received his law degree from the University of Windsor. After being called to the bar in 1980, Mike returned to his childhood hometown of Stratford to open his own practice and raise his family. Over the last 34 years, the firm has grown from a one-room office into a busy, full-service firm with a highly experienced team. Mike’s wife Nanci also works at the firm, and both are enthusiastic supporters of Stratford’s live music scene. Our office is located on the 2nd floor of the Festival Square building on the corner of Downie and Ontario, close to the CIBC. Call Michael Fair Law Office to schedule a consultation today. No matter how serious or sensitive the matters you’re dealing with are, our team will go the extra mile to ensure that you are comfortable and stay informed throughout the process.